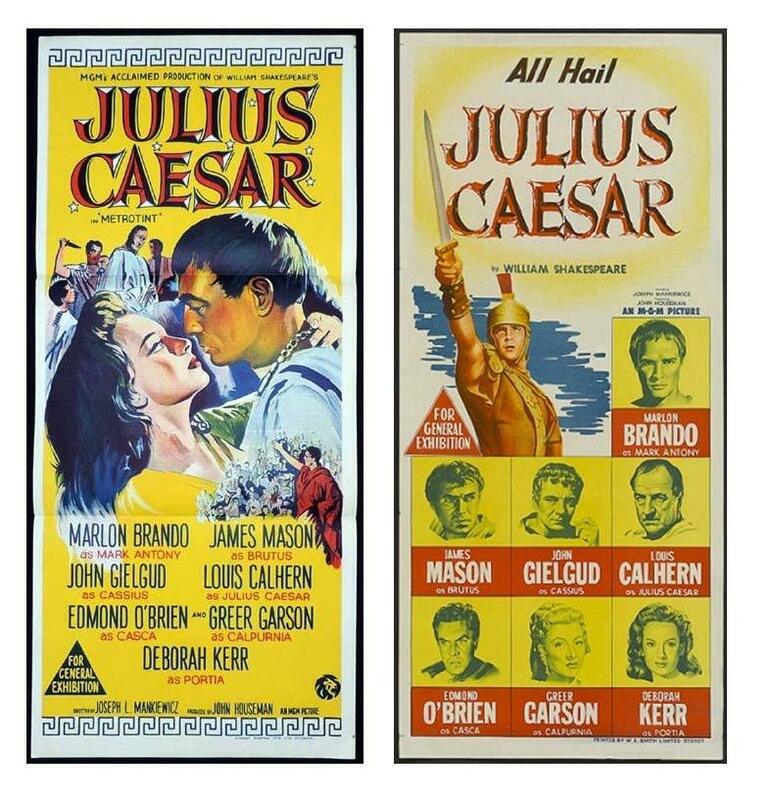 News | Moviemem Original Movie Posters - JULIUS CAESAR Daybill Movie Poster - Original or Reissue? A late1960s release daybill for Julius Caesar appears on ebay quite regularly and is often misdescribed as being an original 1953 release. ebay doesnt appear to care whether movie posters are misdescribed or not. They leave it up to the seller and the poor buyer is none the wiser or only finds out much later that the poster that they have purchased is not from the original release. When you see the two together it is fairly obvious that the daybill on the right is the orgiinal printed by W.E.Smith. The reissue was printed by Robert Burton who were not printing movie posters in the early 1950s. Although some sellers describe themselves as "part time" they are still responsible for the accuracy of the description.